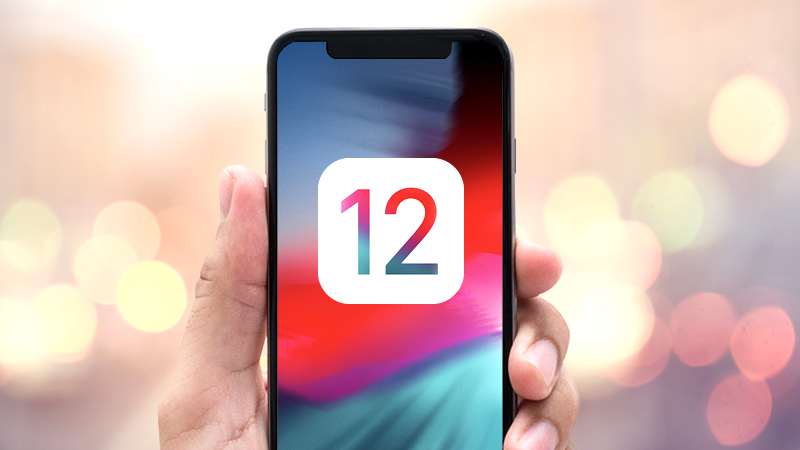 We’re proud to announce the newest version of mSecure, just in time for iOS 12. For those of you who keep up with Apple news on the web, you may have already heard about the new Password AutoFill feature in the new OS. Now mSecure 5.6 supports this new iOS feature. Making signing in to your accounts in apps and Safari easier than ever. In order to use the new Password AutoFill feature, you will first need to upgrade to iOS 12 and mSecure 5.6 on your device(s). After you have upgraded, there is a new iOS setting that needs to be enabled for mSecure. Once this setting is turned on, you will be ready to use the Password AutoFill feature. 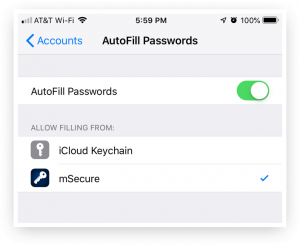 Open the iOS “Settings” app, tap “Passwords & Accounts,” then tap “AutoFill Passwords.” Make sure the “AutoFill Passwords” toggle is turned on, then enable “mSecure” in the “Allow Filling From” section. Now that Password AutoFill has been enabled, it’s very simple to access your Login credentials stored in mSecure to auto-fill your username and password into nearly any 3rd party app or login page in Safari. For example, to sign in to your Facebook account, simply open the Facebook app, tap on the “Email or phone number” field, and you should see your matched Login username in the QuickType bar of your device’s keyboard. 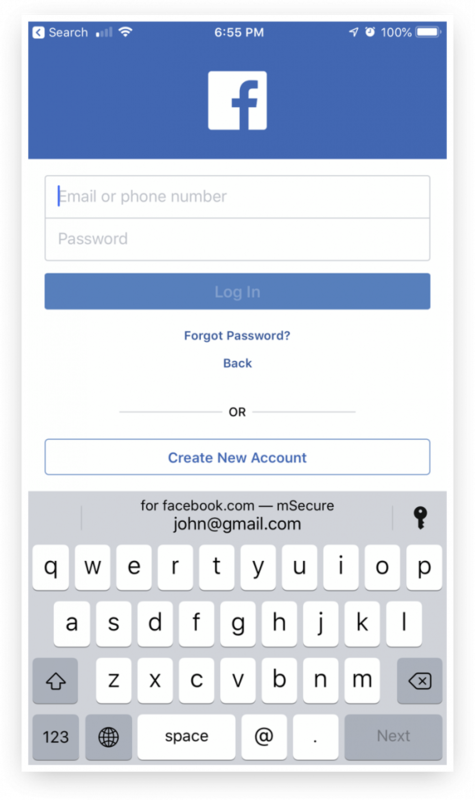 Tap the username in the QuickType bar, enter your mSecure password or use Touch/Face ID to unlock mSecure, and you will see your username and password appear in the login form. Tap “Log In” to sign in to your account. The feature works in the same way using Safari. There is nothing new to learn whether you are signing in to your favorite app installed on your phone or in to your bank account online in Safari. In either case, you will see the username for the Login stored in mSecure in the bar above the keyboard. Tap the username, and you’re ready to sign in! 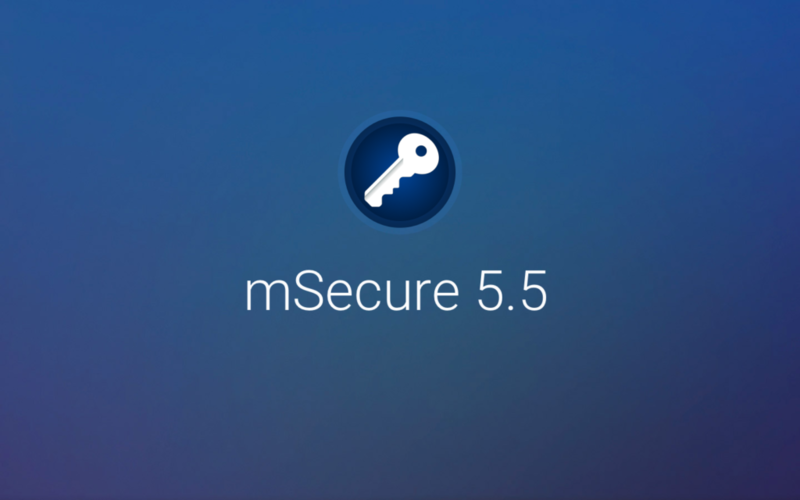 For more information on how this new feature works in mSecure 5.6, please visit our support site. Feel free to leave comments on our forum as well.